The Good Governance and Building Leadership Skills are the most significant instruments that can fight the financial and administrative corruption. Also, the good governance plays an important role in building institutions on a firm footing. This training will empower Syrian institutions and important centers in fighting corruption as well. 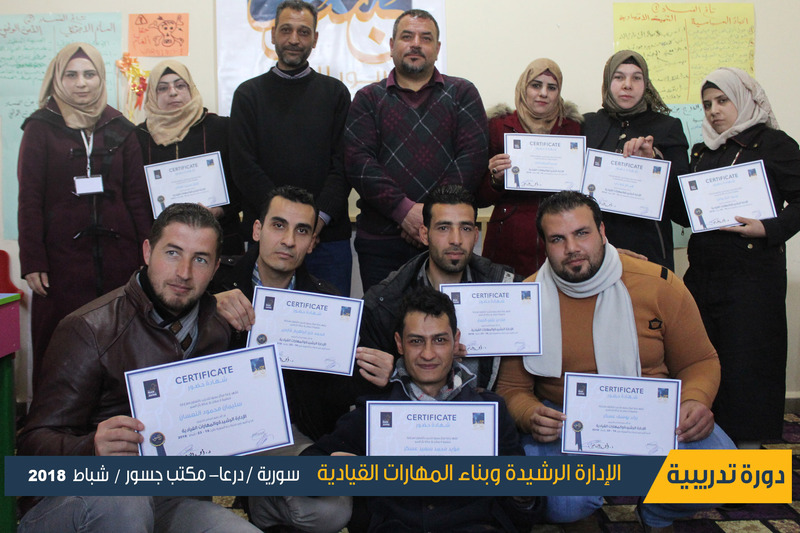 On the 19-23 of February 2018, “Jusoor for Training” center and “No Peace without Justice” Organization conducted a joint training on “The Good Governance and Building Leadership Skills” in Daraa Province. 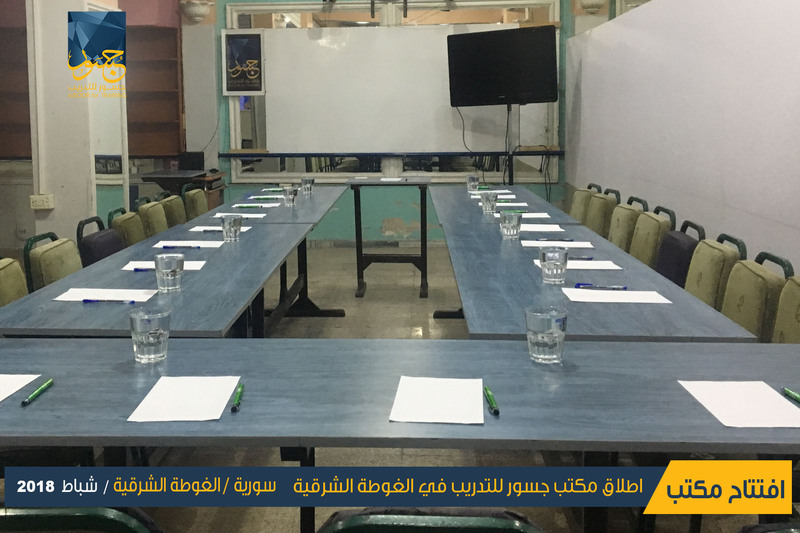 This training is deemed as a distinctive step for fighting corruption that can take place in the Syrian institutions due to the current conditions alongside showing the significant role of the society in empowering the work of different formal and informal institutions. The Good Governance’s agenda includes many important pivots as follows: the definition, inception, philosophy, standards, and the sides involved in the good governance in addition to other pivots such as the relationship between the sides involved, focus on transparency, accountability, collaboration, and justice. 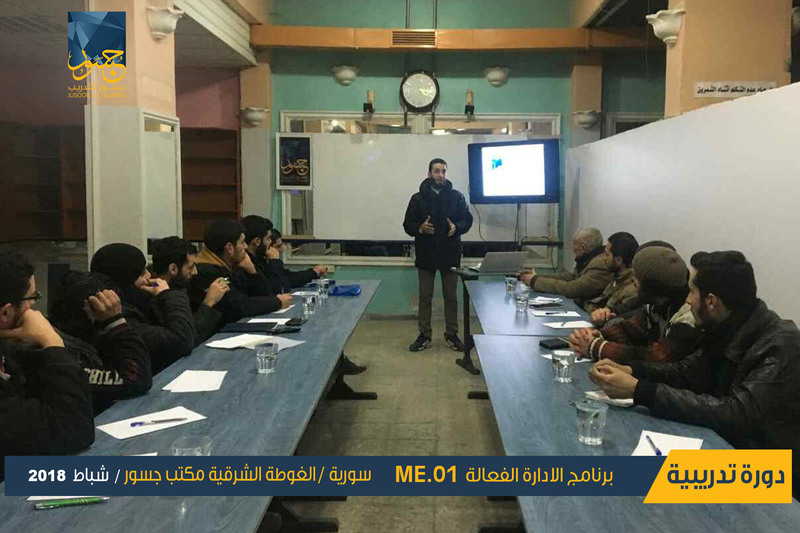 Furthermore, many practical examples, about the realities of the institutions in Daraa Province, were presented alongside studying these cases accurately in order to specify the points of weakness and improve them. Moreover, several topics, that have to do with the Leadership Skills and styles, were addressed and many practical examples of cases that the leader may encounter were presented and discussed by the trainees. The duration of the training: 35 hours. The training was concluded by a short play, where the act (by a theater group named “Morphine”) showed the negative impacts of the corruption and bribery on decision-making and adopting certain positions.